Encouraging statistics in the face of so much need, and LOVED the photo! My grandmother spent time with the Masai tribe in the 1970’s — she and her sister — two white haired, octagenarians travelling the globe to offer willing hands, kind hearts and hope. “two white haired, octagenarians” Love it! We should all want to live every day like your grandmother and her sister. To use a baseball phrase; “go out swinging”. Thank you for reminding us of those whose lives are lived in extreme poverty and that things are changing. Those are not the stories that are reported on daily and we tend to forget those whose focus in life is where their next meal will come from, or even if they will live to see the next day. I pray that many others will take up the cause and continue to bring hope those those in this horrible condition. This is terrific news…if its true. As we know, figures don’t lie, but liars figure. As for our own country, where many of our “poor” live better than the well off in some third world countires, the number of poor keeps increasing because it’s politically expedient to promote dependency. To me, the bottom line is that if everyone practiced Christian prinicples poverty could be eliminated. Most of the Third World poverty results from the greed of despotic rulers. Years ago, I recall reading an article about how Haile Selassie flew in French chefs and exotic ingredients for a feast to celebrate while people starved to death on the streets of Addis Ababa. The Dulvaliers spirit a huge fortune out of Haiti before leaving. In North Korea, therulers live high on the hog while the population starves. And on and on it goes. Yes, the causes of poverty include poor, and yes, even evil leadership. However, I believe a lot more could be done if only Christ followers were obedient to help the poor. Christians are doing some good but still not giving the full tithes and offerings that God asks from us. Change starts from within our own ranks. Terrific post and a great photo, CH. As always, the truth will find its way into the light despite the efforts of agenda-driven media gatekeepers to keep it hidden. Thanks for the information. Thanks for sharing this informative post. I had no idea about these statistics. I’m learning so much from everyone on the Chain. Thank you for this report. It is encouraging to see that progress has been made. You obviously have a strong heart for the extreme poor. When we have concern for the poor we are close to God’s heart. Thanks for the extreme poverty update, it’s good to see progress. here is a long way to go. Sometimes when we have progress, its that last bit that is most stuborn. The Grameen Bank seems to have hit upon a really good idea regarding helping people. They give small loans to extremely poor people for the purpose of opening or expanding a small business. The thing that really powers their success is that they build a village-wide oversight, support and mentoring system that tends to lead to success and a startling pay back ratio. Regarding capitalism and greed, there is a dichotomy in that the allure of great profits can make a person compromise their principle and forget that the purpose of the business isn’t always about maximization of personal profits. Christians are commanded to work hard, manage their money wisely, store up for the future, all the while not being tied to the money and forever sharing our resources with the less fortunate. In this sense, having more induces a greater need to keep our heats tuned to God’s will for His resources of which we are only a caretaker. I wonder if capitalism is only evil the same way the love of money is evil. It isn’t capitalism itself that is evil but the gluttony/avarice of those who abuse capitalism’s power. As we can see, capitalism in and of itself has the power to help those around the world. If we could just get the checks and balances to work more effectively to keep capitalism under some semblance of control…. But, alas, in a society of growing entitlement and lack of accountability, I’m at a loss. Very interesting point, I think you are right to protray capitalism in such a fashion. Capitalism does not have to endorse greed and abuse. It’s interesting to see that they credit the spread of capitalism as one of the reasons for the drop. Everywhere you look people are declaring capitalism evil and we need to change it. Yet it’s causing the extreme poor move up in life. Absolutely vital we recognize this truth. I am afraid we won’t know what we had until we lose it. As someone involved in agriculture, I’d love to see a free market in the U.S. I’d love to see the removal of price controls and farm subsidies… but it’s not likely to happen. We were just talking about this on CW a couple of days ago. Farmers are not free to sell their products to the public in many cases. They have to filter through government regulated channels. Frustrating. 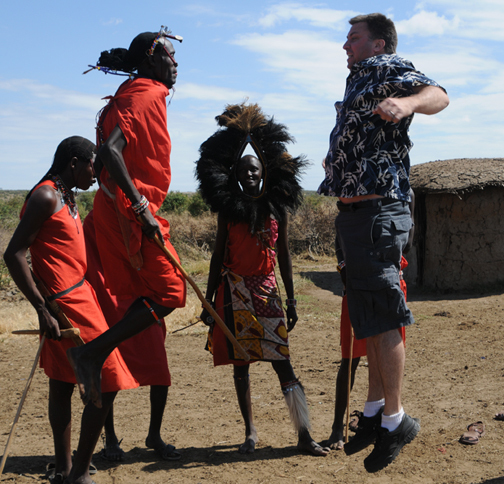 Thanks for the photo comment, I am quite proud of my vertical jump here. Thanks! Wouldn’t that be something if we had less regulations and more freedom?